LILIN has announced a major expansion of its surveillance camera family with three new AHD models featuring 1080p/1280H resolution, a remote auto-focus 2.8-8 mm lens and long transmission distances, along with the convenience of three form factors (ie dome, bullet and turret) to fit a variety of applications. The new remote auto focus AHD products provide a value added offer with the high quality video found in LILIN’s popular IP series with integration into leading automation platforms. UTC technology allows end users to remotely set up LILIN AHD cameras using compatible UTC recorders, in turn reducing the time taken to do so and eliminating the need for varifocal adjustments at the camera. In addition, the infrared LED automatically activates for image capture in total darkness. The new AHD652AX2.8 is a small, unobtrusive turret-style dome camera designed for indoor/outdoor use, and especially in low-light areas. The AHD662AX2.8 is a rugged outdoor dome camera featuring IK vandal-resistance protection, a defogging capability and an IP66 weather resistance rating such that it can operate in a wide temperature range from -40°F to 122°F. The AHD842AX2.8 is a fully-featured bullet camera for both indoor and outdoor use. Honeywell has expanded its Performance Series IP camera family to include a new range of affordable, high-quality IP cameras that are easy to install, use and maintain. The range introduces seven new IP cameras in dome, ball and bullet design, all of them perfect for commercial settings such as office buildings, retail stores and warehouses. Selected cameras from the new collection use Motorised Focal Zoom technology, which auto-focuses the lens after zoom operation. This allows the system installer to fine-tune camera focus and field of view off the ladder, making the install process easy and saving on labour costs. Additionally, each camera captures crisp, clear images with high-resolution pixel detail, and offers correct object-aspect ratio to avoid on-screen distortion. The cameras can be used immediately with Honeywell’s Performance Series embedded NVRs upon installation and are backed up by full customer support. Axis Communications has just introduced an affordable bullet-style outdoor network thermal camera with powerful performance for analytics via the Axis Camera Application Platform (ACAP). The Axis Q1941-E offers “outstanding” high contrast thermal images. It’s the first thermal camera that supports both Electronic Image Stabilisation, which helps reduce the effect of vibrations, and Axis’ Zipstream (which lowers bandwidth and storage requirements). This affordable, bullet-style IP camera is designed for 24/7 detection in challenging conditions. The camera is outdoor-ready ‘out of the box’ and said to be ideal for perimeter protection of those facilities where early detection of an intrusion attempt is critical. The Q1941-E offers 384 x 288 thermal resolution and “outstanding” image contrast that yields reliable detection and quick verification. Thanks to a selection of five different lens alternatives (7 mm, 13 mm, 19 mm, 35 mm and 60 mm) that optimise detection performance, customers can be sure the camera will meet their requirements. The Q1941-E thermal network camera is planned to be available in Q4 2015 through Axis’ regular distribution channels. Last year, Samsung Techwin introduced its WiseNetIII Open Platform camera range. These bullet, dome and body camera variations run the very latest high performance DSP chipset, giving enough processing power to simultaneously use multiple edge-based applications. Now, Samsung Techwin Europe has given advance notice that the business intends to supply WiseNetIII models with pre-loaded applications. Here, technology partner manager Dan England explains to Risk UK why Samsung Techwin Europe is going down the route of offering cameras with pre-loaded software, duly highlighting who will benefit from this significant move which is specifically designed to provide out-of-the-box solutions and, in turn, elevate video surveillance from simply being a security system to a smart solution that can deliver so much more for end customers. Risk UK: Dan, first of all can you tell Risk UK’s readers about your career to date? Dan England: Yes, of course. I’m now in my seventeenth year in the security sector and, in that time, I’ve gained experience as an integrator and project manager. I’ve also worked for manufacturers of both access control and CCTV solutions. These days, I have developed a specific interest in edge-based video applications. Risk UK: Can you also explain what your present role as technology partner manager entails? Dan England: My overall objective is to ensure that we’re best placed to provide end users with significant added value from their video surveillance systems. Since Samsung Techwin Europe launched the WiseNetIII Open Platform camera range, we’ve been approached by countless software development companies who want to capitalise on the new business opportunities that can be created by running their solutions on the WiseNetIII cameras. My role is to manage, encourage and support all of these application developers, as well as video management software (VMS) providers, and work with them in partnership to ensure that our mutual customers have the freedom to choose from a wide range and combination of Samsung-approved solutions. Risk UK: If you’re intending to pre-load applications on to WiseNetIII cameras, will this not restrict a customer’s choice as to which application they can work with? Dan England: No, not at all. After listening to market feedback, it makes perfect sense to offer a number of ‘pre-packed’ options for those customers that are perhaps new to video analytics or would benefit from a simple ‘no-fuss’ purchase. It’s also important to emphasise that customers will still be able to buy Samsung WiseNetIII cameras without any pre-loaded software and still have the option to upload applications of their choice as required. Following the connection of a WiseNetIII camera to the network, installers or operators simply need to upload their preferred app via the camera’s browser. Risk UK: What are the advantages of ordering Samsung WiseNetIII cameras with pre-loaded applications? Dan England: Our decision to do this is based on enhancing Samsung’s reputation as a brand that can always be trusted to look for ways to not only make it easier for customers to deploy our video surveillance solutions, but also for them to achieve maximum return on investment. In this respect, Open Platform is an exciting game-changer which we’re determined to help customers take advantage of on a continual basis. By pre-loading software which we’ve fully tested and evaluated, we will be saving installers, systems integrators and end users considerable time and effort in having to research the fast-growing list of available applications. Plus, since we’ve worked very closely with the respective developers of the applications, customers can be assured of a seamless integrated solution that’s easy to configure. Risk UK: What kind of applications are you recommending to customers? 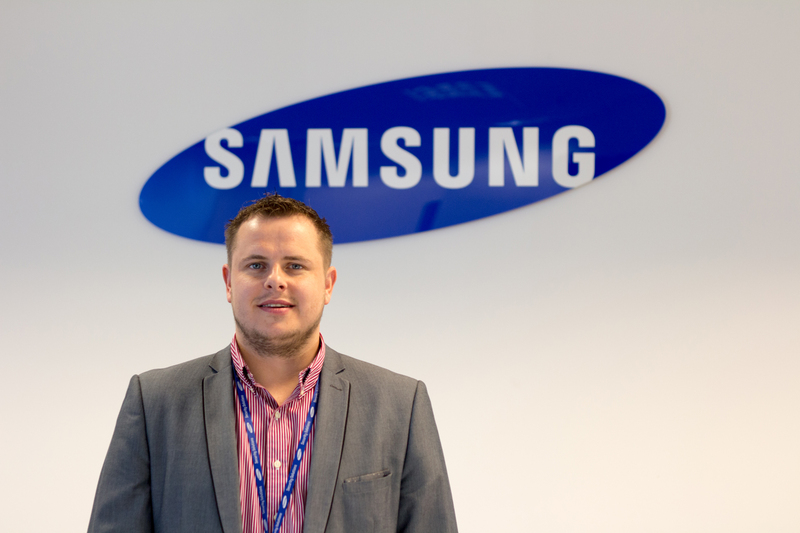 Dan England: Well, the good news is that some applications, such as Arteco Automatic Number Plate Recognition and Facit video analytics, are already available pre-loaded on Samsung WiseNetIII cameras. In addition to video analytics, we’ll be offering WiseNetIII cameras and domes pre-loaded with storage, people counting, intruder and perimeter protection applications as well as specialist retail analysis solutions. Over the coming months, I’ve no doubt that many more different types of applications will emerge. As predicted when the WiseNetIII series was first launched, one thing we can be certain of is that we will be able to look back in a year or so and be amazed at the diversity of applications that have been introduced. The very latest out-of-the-box application is in fact a specialist time-lapse solution from Pernixia which has been developed to meet the requirements of the broadcast and construction industries. Risk UK: It sounds like it might be quite complicated for customers to order WiseNetIII cameras with the right application pre-loaded, and particularly so if they want to take advantage of the cameras’ ability to run more than one application. Is that the case? Dan England: In reality this will not be a problem. Using smart part numbers, we will make it a ‘no fuss’ process for customers to identify and order the ideal camera/applications combination. Risk UK: Who are your preferred suppliers of these applications and which regions do they cover? Dan England: We will publish a complete list on our website in the very near future with a mixture of European and global solutions. In the meantime, I’m available on e-mail (d.england@samsung.coM) to offer advice and guidance on the best option for specific projects. Video surveillance solutions developer Hikvision and systems installer Lantec Security have recently completed an upgrade project at the prestigious Sand Martins Golf Club in Surrey with assistance from Hikvision’s UK distributor DVS. 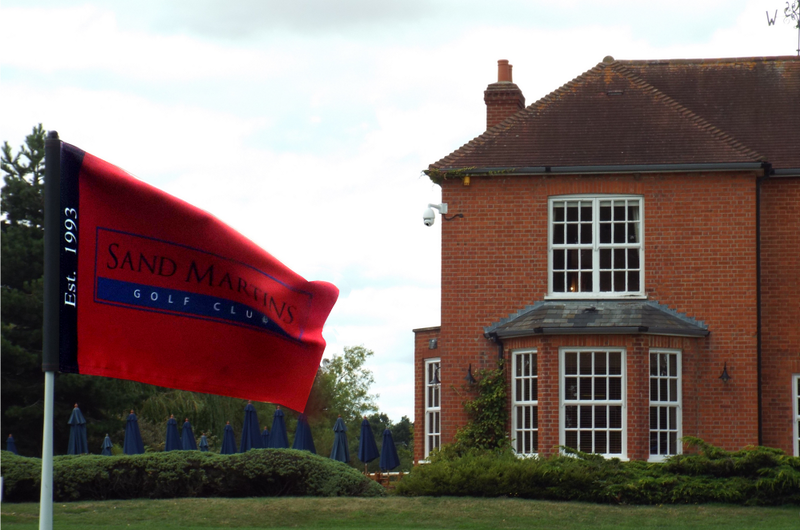 The Sand Martins Golf Club is located near Wokingham and, only recently, the management team decided it was time to upgrade the club’s existing standard definition analogue surveillance system. Given that the course is spread across many acres of land, CCTV is paramount for the security and smooth running of the location. Steve Lane of Lantec Security headed up the installation project for the new surveillance system, all the while working closely with DVS. 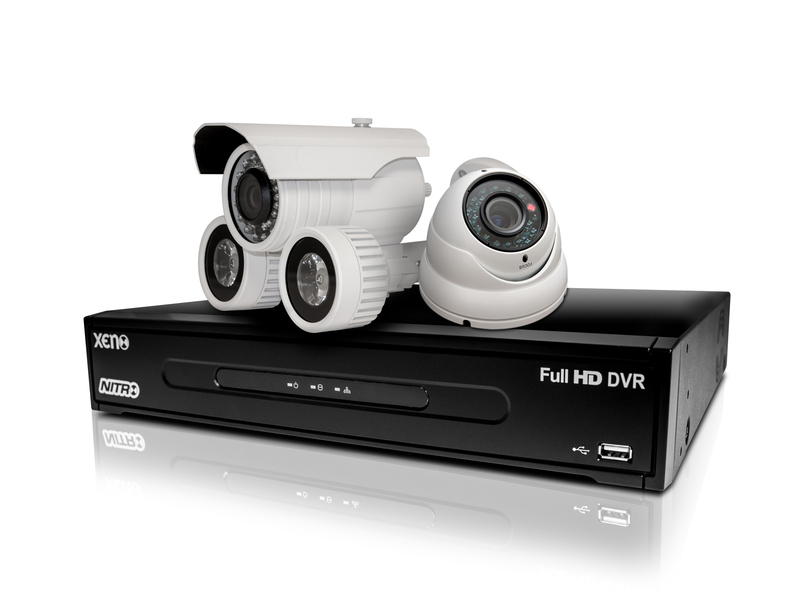 A full HD system has been designed and implemented using Hikvision surveillance solutions. The project consists of 16 Hikvision Full HD cameras, among them vandal-resistant IR domes, bullet cameras and even a newly-released Lightfighter model installed to watch over the club’s grounds. Hikvision’s ANPR system is employed in the car park, recording the number of every vehicle that enters the compound. The large field of view on the ANPR solution means that it can also serve as a general overview system. The installation even boasts an auto tracking dome on the 18th hole that streams live images directly into the clubhouse.